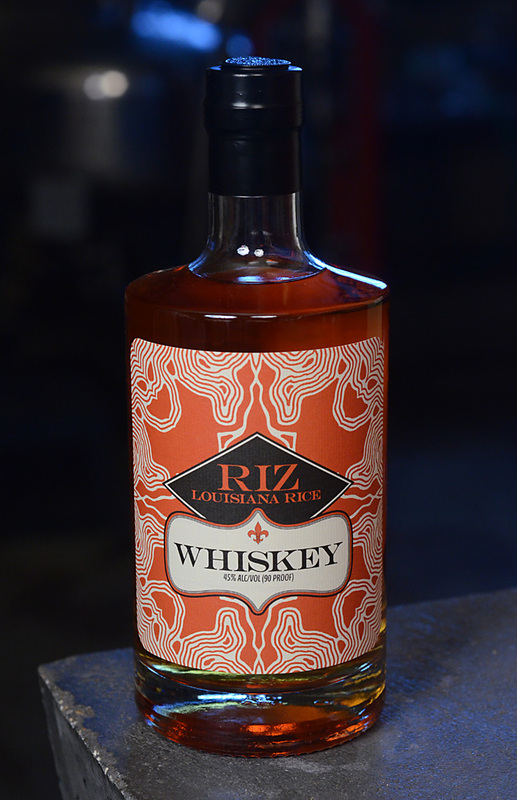 Riz, Louisiana Rice Whiskey. 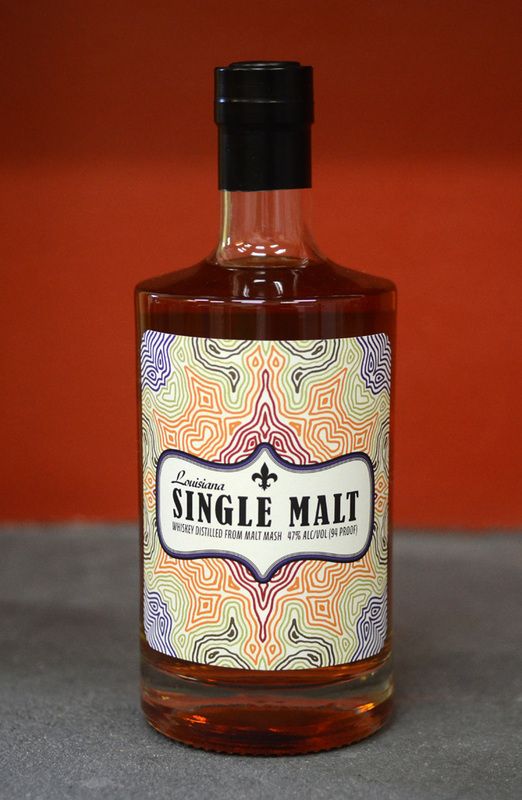 Distilled from Louisiana rice. 45% Alc./Vol. New Orleans, LA 70125. 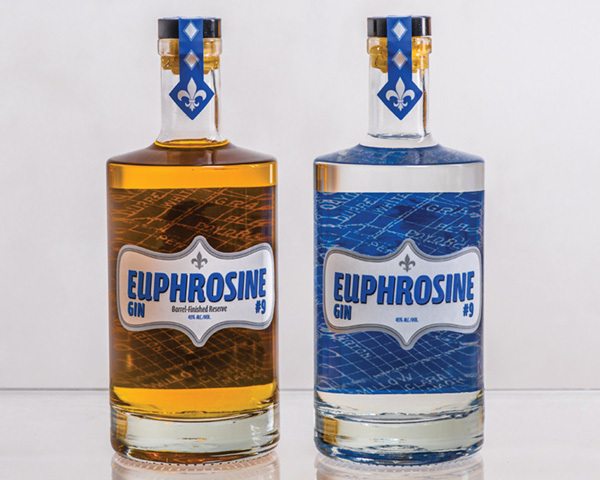 Euphrosine Gin #9, 45% Alc./Vol. Pot distilled from grain neutral spirits. New Orleans, LA 70125. Gold Medal & Best of Category, ADI Spirits Competition. Gold Medal, ACSA Spirits Competition. Gold Medal, San Francisco World Spirits Competition. Euphrosine Gin #9 Barrel-Finished Reserve, 45% Alc./Vol. 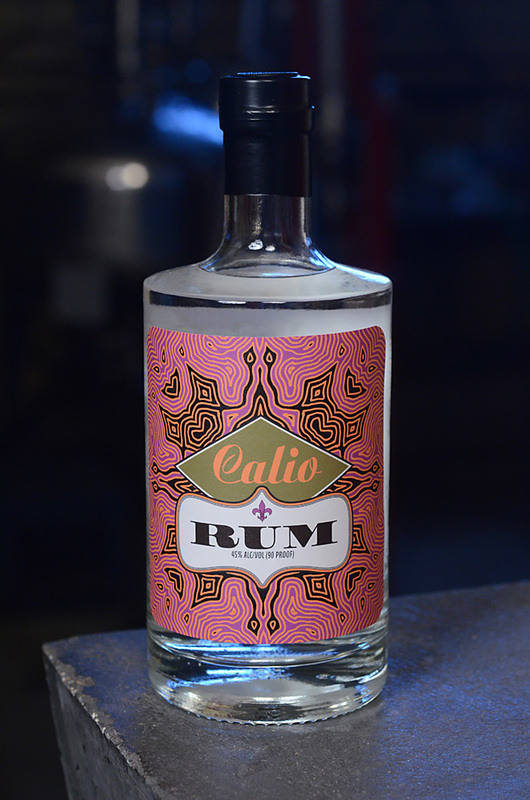 Pot distilled from 100% neutral spirits distilled from grain. Gold Medal, San Francisco World Spirits Competition. Toulouse Green, Absinthe Verte. 68% Alc./Vol. Cane Neutral Spirits With Herbs. New Orleans, LA 70125. Gold Medal, ADI 2014 Spirits Competition. 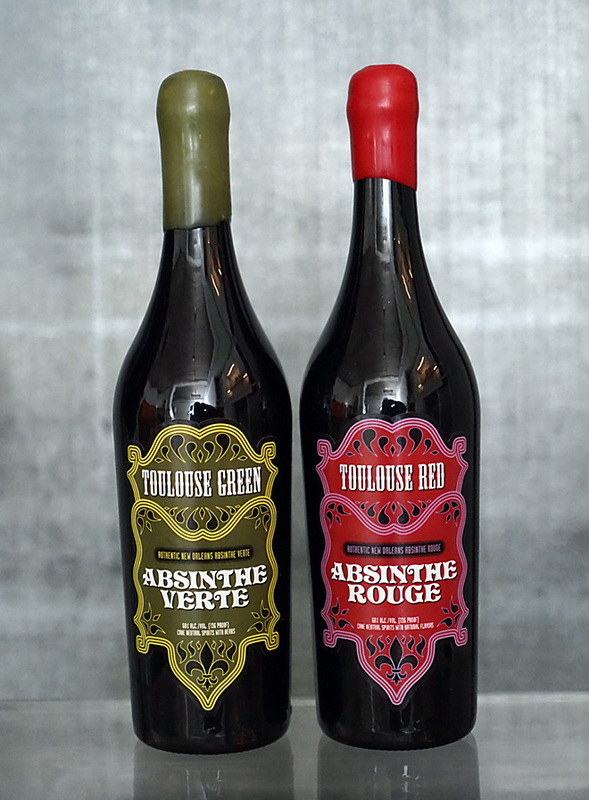 December 5, 2012, Prohibition Repeal Day: Toulouse Red, a Red Absinthe, has been released. Toulouse Red (Absinthe Rouge). 68% Alc./Vol. CANE NEUTRAL SPIRITS POT DISTILLED WITH HERBS AND COLORED WITH HERBS. New Orleans, LA 70125. Silver Medal, ADI Spirits Competition. 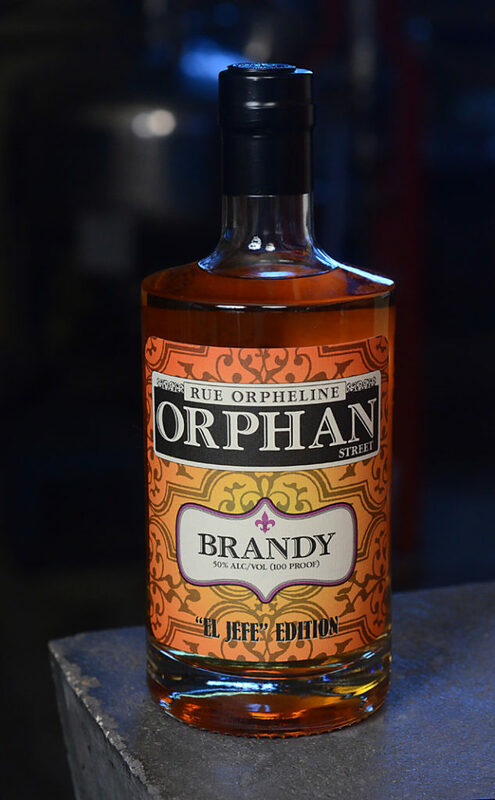 Orphan Street Brandy, 40% Alc./Vol., 200ml, aged two years. New Orleans, LA 70125. 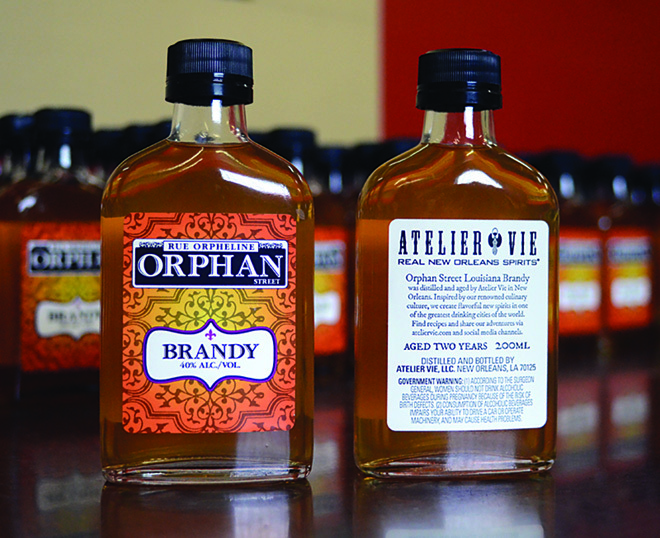 Release 2 of Orphan Street Brandy is now available. 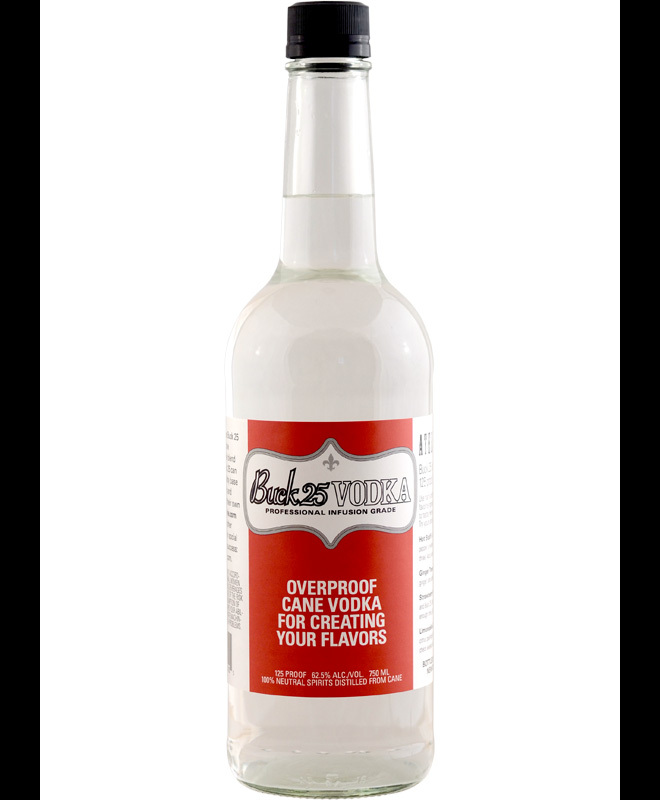 Buck 25 Vodka, is a 125 Proof “Professional Infusion Grade” Vodka.